We are available 24/7 to handle your entire flooded basement needs, even those emergencies that happen at odd hours. Make the call and we will respond within 45 minutes to assess your situation and start the water extraction process using the latest drying technology and industry leading equipment. 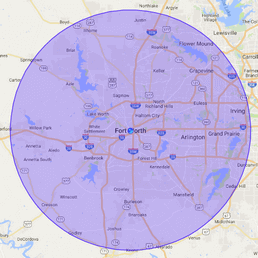 Keller is home to roughly 40,000 people and is located fourteen miles northeast of Fort Worth. The town has been ranked as one of the best places to live in the country, and 911 Restoration is committed to keeping Keller up on that map, utilizing our services to restore and manage our community’s homes and businesses. What Does 911 Restoration Do? When it comes to flooded basements, our flooded basement Keller experts can deal with everything from flooded crawl spaces to soaked basements full of standing water. Our 911 Restoration water cleanup services remove the water and then begin to restore all of the damage it caused to your basement. Because we always put the customer first, we pride ourselves on being available 24/7 and offering same day service where we will respond to your call within 45 minutes. You don’t want to waste a lick of time when stricken with a flooded basement, and our team of experts have the know-how, experience, industry leading tools, and the latest drying technology in order to best mitigate even the worst of flooded rooms. Is Water Extraction And Restoration Expensive? Our flooded basement Keller professionals believe in offering customers a fair price for our services because at the end of the day, we want you to be happy, feel safe, and not have to worry when it comes to finances. That’s why, on top of our same day service, we also offer a free quote upon our initial free inspection. And working with all insurance companies, we also have the resources available to us in order to get you the most affordable price you will find. We value professionalism, and we want to be your trusted source when it comes to water damage Keller technicians. All of our flooded basement Keller service technicians are licensed, insured, and bonded because we stand behind what we do. No homeowner wants to deal with flood cleanup, and we make the process as painless as possible for our customers. If you have any further questions or concerns about water damage restoration, you can go to our website, where we also offer free tips and tricks on the prevention and processes of water damage restoration. If the worst should happen and you find your basement flooded, call us immediately for quick and professional cleanup services.